Ten years ago, the Arts Council approached the Visitors and Convention Bureau and offered to add music performances to the event, in order to help raise 4th Fridays to the next level – that of street festival and true community event. Kudos to us from VCB, merchants, musicians and attendees attest that our efforts have been greatly successful and appreciated. The Arts Council presents our major music performance acts at the Arts Council City Hall Stage (on the steps of City Hall). These include accomplished central Ohio groups in a variety of genres including Big Band, Classic Rock, Bluegrass, Jazz, Reggae and Blues. The success of our main stage inspired us to add performance areas. 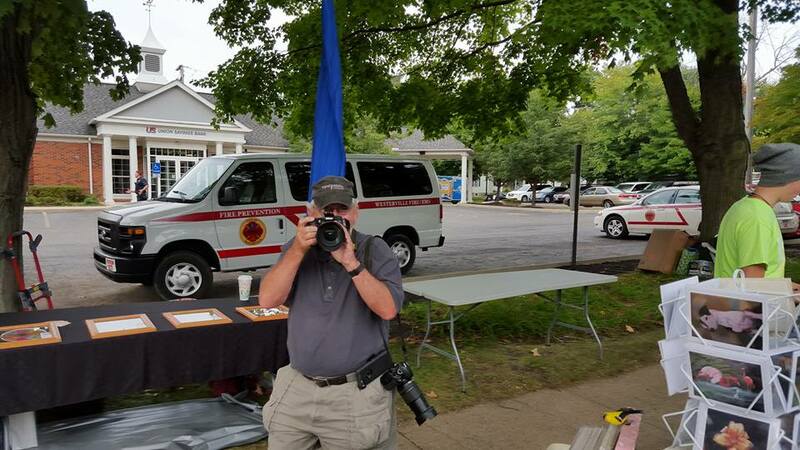 Over the years, these have included the Gazebo on E. College Ave., a band stand at Arts Alley near Hanby School, and street performance areas throughout Uptown. These secondary stage locations have periodically changed. 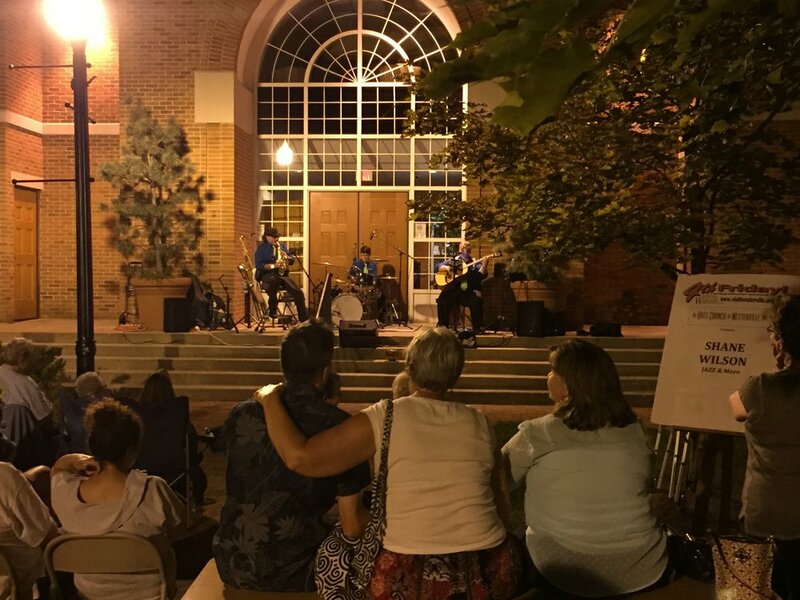 In 2016, our secondary stage was located next to the WVCB on W. Main St.
Arts Alley is home for every form of visual arts imaginable during the 4th Friday celebrations. 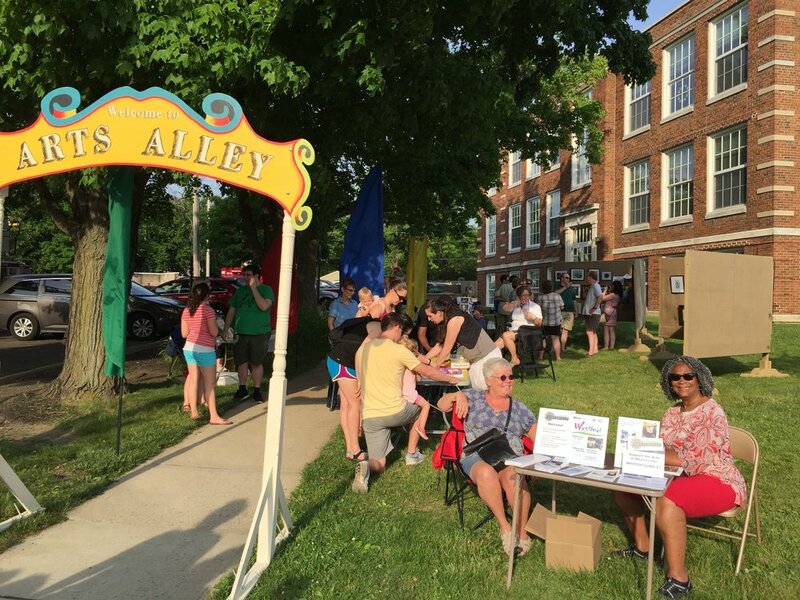 Arts Alley is an outdoor area in Uptown Westerville designated for local and area artists to exhibit and sell their original works of fine art. 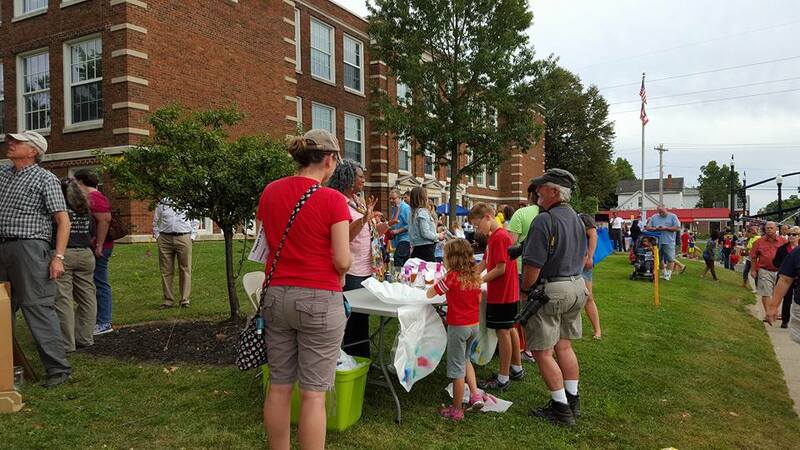 It is also a place for children to enjoy a hands-on art experience sponsored by ACW and a spot to pick up flyers about arts-related events, people and organizations in our community. 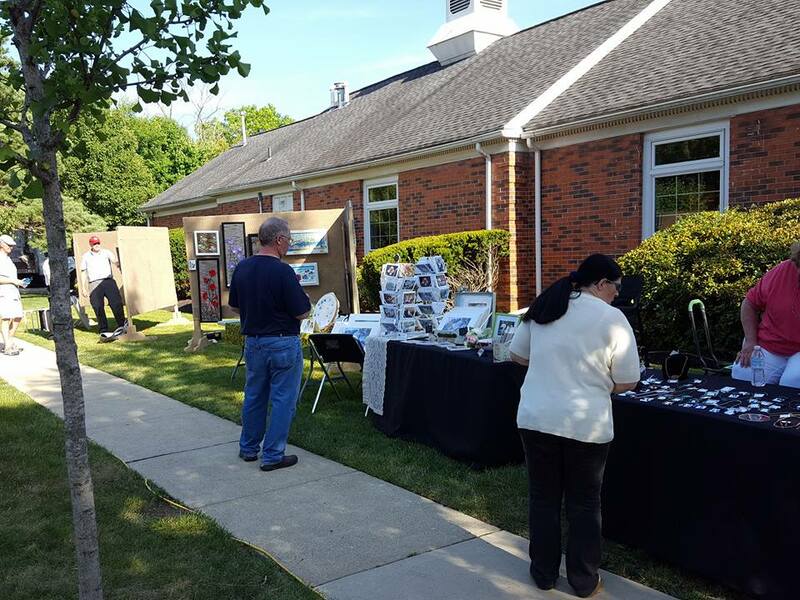 The community of Westerville interacts in a casual, festive environment and artists present works in painting (oil, acrylic, watercolor, etc. ), pastel, ceramics/pottery, stained glass, jewelry, paper art, fabric art (including quilting), calligraphy, glass art, sculpturing, wood (including wood carving and marquetry), puppetry and leather art. 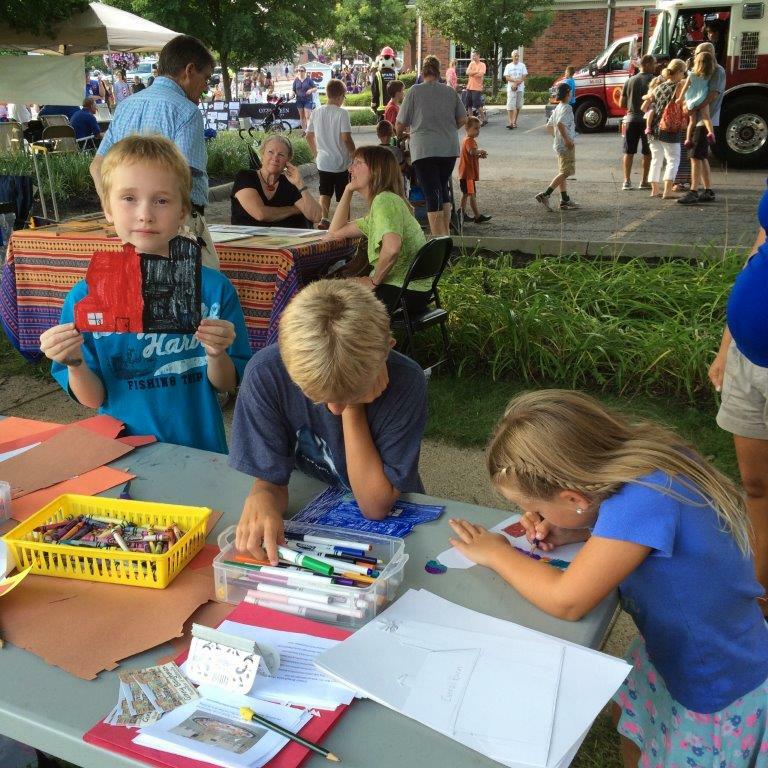 Since 2014, during September 4th Fridays, Arts Alley has presented Passport to the Arts. Youngsters receive a passport for keeping track of their visits to the various art stations offering performing and visual arts activities. 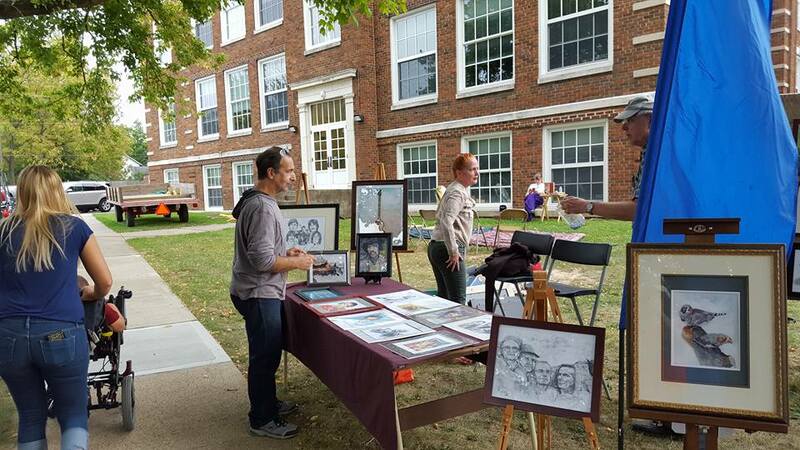 Alongside the activities, artists present and sell their works. 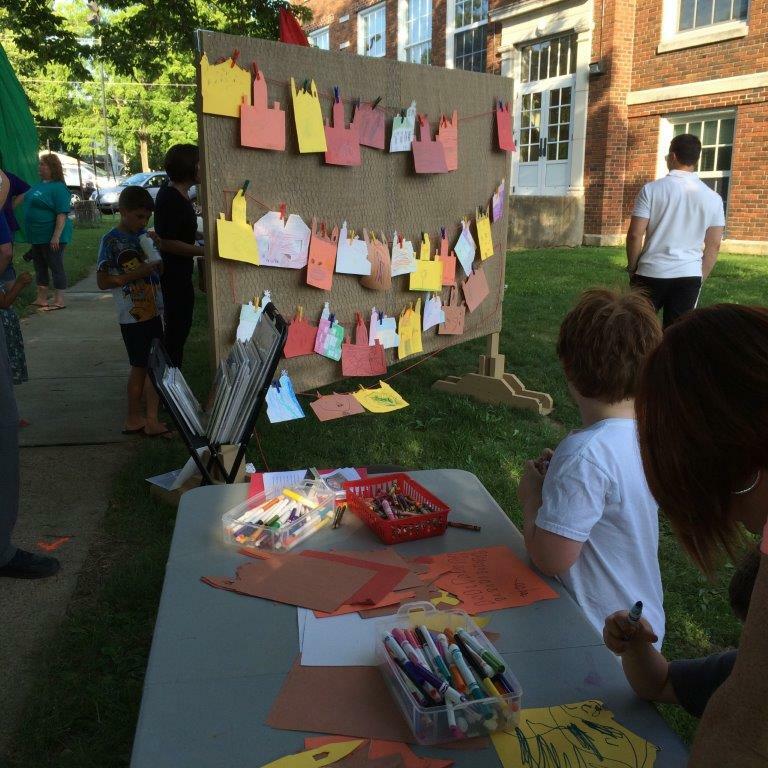 2016 Passport stations included: Googly-Eye Owl Craft, Musical Petting Zoo, Guitar Sing-Along, Oil Pastel Fall Leaves, Dance Performance and Ceramic Poppy Tea Light.